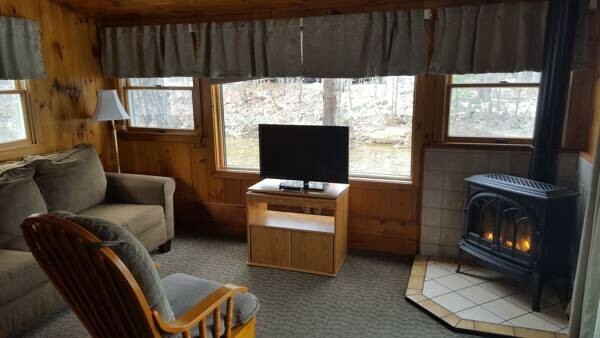 Riverbank Motel and Cabins come with an unparalleled amount of hospitality that defines us as one of the best options to stay with in the Lincoln/Woodstock region of NH. 2 or 3 night minimum stays may apply on weekend and holiday periods. Riverbank Motel and Cabins observes No Pets and No Smoking policies in all units. We require 7 days notice for change or cancellation to a reservation. For a list of all our policies click here. Our three cozy cabins are nestled along the banks of the Pemigewasset River allowing unbeatable scenic views. We have two larger cabins that can sleep 4-5 people and one studio cabin, which comfortably sleeps 2 people. Each cabin has pull-out sofa bed options in the living room, AC, and kitchenettes for year round visits. Two cabins have a gas fireplace for when that famously cold New Hampshire winter weather kicks in. Come and enjoy our charming cabins! All standard motel rooms have exterior porch entrances and a capacity to sleep 3 people. 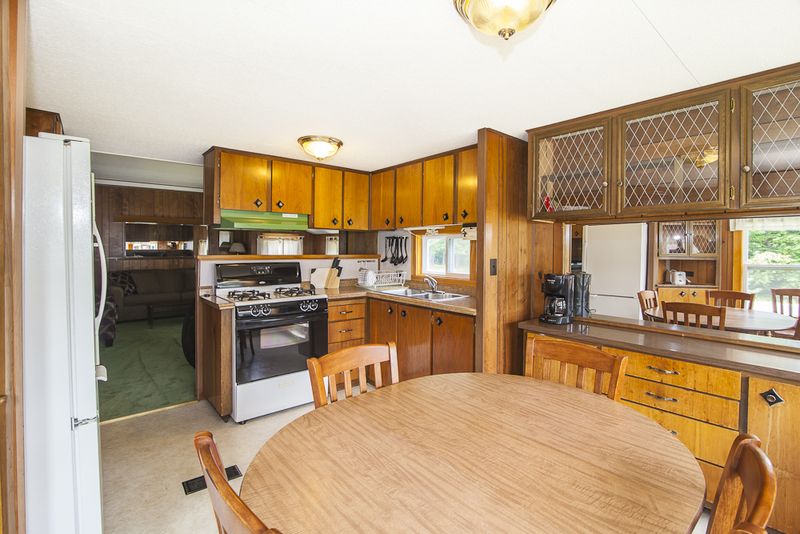 These rooms contain a coffee maker, microwave, and mini-fridge to serve all your basic kitchen needs. You can’t go wrong – we have poolside and riverside locations for these units as well as adjoining room options for larger parties to take advantage of! These rooms were made for people who love to vacation for longer periods of time. You have the option to make your own meals with a fully equipped 2-stove burner kitchenette. There’s no need to bring pots, pans, dishes, or utensils – we provide it all for you! Our 2-queen bedroom rooms are very spacious and can sleep up to 5 people. Kick back and relax on your own porch and take in the beauty of the White Mountains. This stand-alone 2-bedroom vacation home is a perfect option for larger families. This unit has privacy, a large living room space, a full kitchen complete with an oven, a washer and dryer, and extensive 3-season porch – all the comforts of home! There’s plenty of yard space around the unit for outdoor games, and a chiminea for an outdoor fire option. This unit is also a perfect winter seasonal rental for an adventurous family. Book fast! It is our most popular unit and doesn’t stay available for long!